With 1.3 billion users worldwide, you could be forgiven for suggesting that Facebook is not in urgent need of a prominent advertising campaign. However, for the first time in the UK, that is exactly what it has launched. TV adverts were rolled out by Facebook mid-way through February as part of a wider campaign also incorporating billboards. Mostly the ads are brand focussed, highlighting the nature of connecting with a ‘friend’ on the service. The three concepts are characterised by telling the story of differing types of friendships. Instrumental versions of iconic songs such as ‘Close To You’ by The Cure provide the background. YouGov BrandIndex indicates how memorable the campaign is proving to among the public. Our Ad Awareness metric (whether a respondent has seen an advert in the last two weeks) shows that there has been a solid improvement among all respondents. The score has risen from +4.9% to +15.3% at the time of writing. 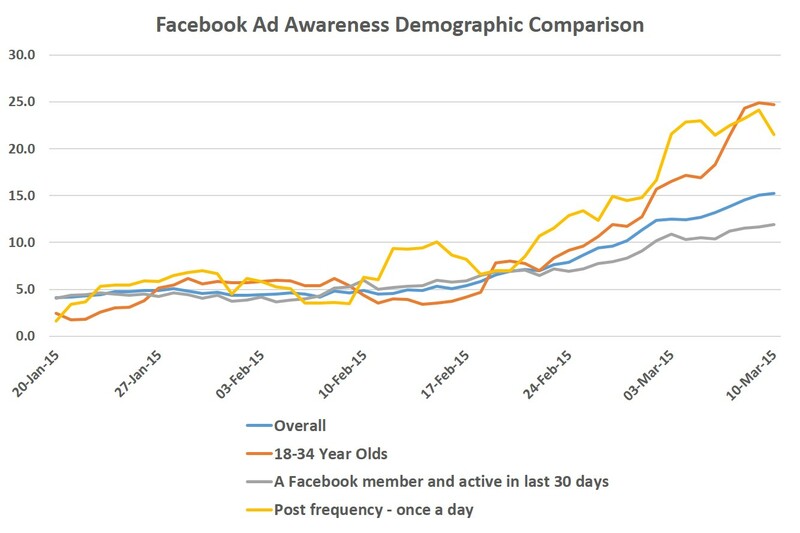 There is even greater ad awareness in specific groups that Facebook will be extremely keen to portray its message to. Among 18-34 year olds, the score has risen from +3.5% to a high point of +24.9%. 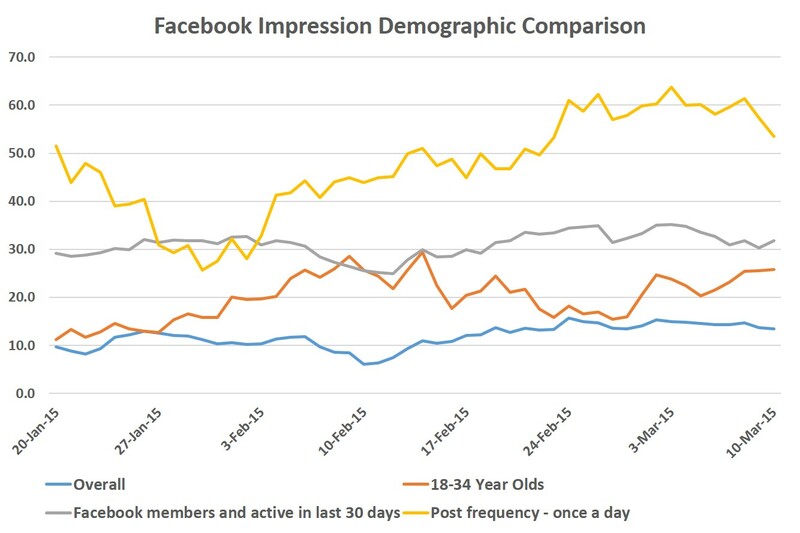 Among those that say that they post on Facebook once a day, there is another striking increase – from +3.5% to 24.1%. So if it is not trying to attract new users, what is the driving force behind the decision to commission the campaign? Some would speculate it is to ‘freshen’ the brand in the face of competitive social media rivals. The impression users have of Facebook is key to its continued appeal in its bid to remain relevant and ahead of the competition. Our YouGov Impression metric indicates that the adverts are helping to shift perception of the brand. Overall, the score on this metric among all respondents has risen from +6.1% to a high of +15.3% since the middle of February. Again, among more specific groups the increase is more pronounced – from 15.9 to 25.8 among 18-24 year olds. And when we look at those who post once a day, the score is reached a high of 61.4. It is clear that the adverts are proving to be the magic combination of memorable and impression shifting. How Facebook looks to incorporate new campaigns in the years ahead will be one key factor in its continued success or otherwise.